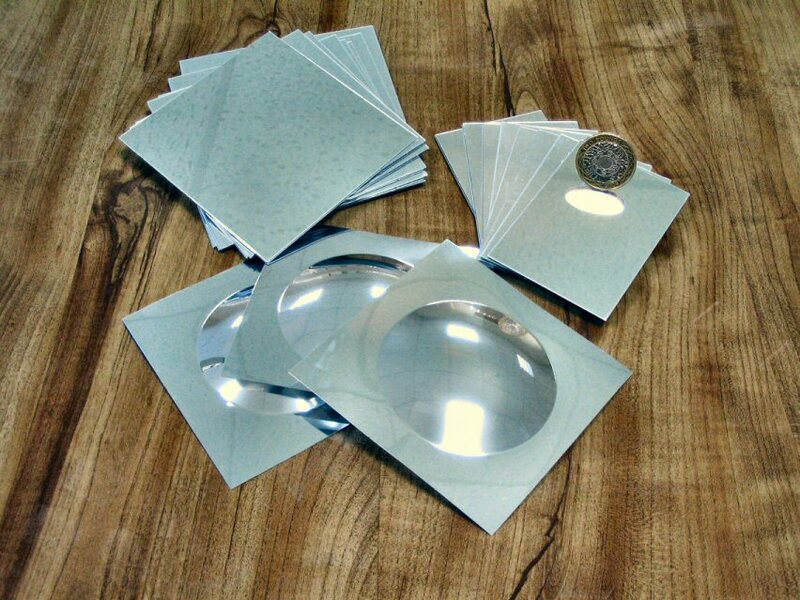 Chamberlain Plastics International Limited produce 1.00mm thick unbreakable flat mirrors, cut to size for use in school and college science courses. Minimum cut size is 25 x 75mm and maximum is 580 x 920mm. A thinner 0.30mm UPVC laminate is thermoformed into convex and concave circular domes and cut to 100 x 100mm squares for similar applications.